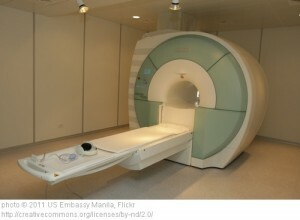 How much does an MRI cost? $425 to $2,530. A look at price calculators. Culture change is here: People have awakened to the wide disparities in pricing in the health-care marketplace. Even if they’re insured, they’re upset. Let’s call him Patient X. He wanted to talk about the coinsurance charges for his new health insurance plan. He wanted me to know a few things. For an MRI in his neighborhood, his insurance company’s site tells him, the insurance company is paying anywhere from $425 to $2,530. Well, he’s responsible for 10 percent of the contracted fee. And the insurance company tells him what that 10 percent would be, should he choose Provider A, Provider B, Provider C and so on. Helpful? Yes. Maddening? Also yes. Health-care providers have a number of prices for procedures. Their charged price (often known as the chargemaster price) is something like a manufacturer’s suggested retail price in electronics or the rack rate at a hotel, prices that are seldom paid because there are so many discounts available. Full-pay patients, those who pay the charged price, are rare. What the provider actually receives is either a fixed price from the government (Medicare, Medicaid, or Tri-Care, for military personnel) or a negotiated or contract price, so called because it’s negotiated by the provider (doc or hospital, let’s say) by contract with the payer – an insurance company, like Blue Cross, Cigna, Aetna or United Healthcare. The negotiated rates are secret, protected by gag clauses in most contracts. The insurers don’t want Provider A, who’s getting $425 for a procedure, to know that Provider B is getting $2,530. So there are penalties to providers for disclosing what they get. That information has long been available on people’s bills, and explanations of benefits, but for a great deal of time no one cared because it might all have been covered by a $20 copay. Also, because you weren’t able to compare what your provider received with what another provider received, you might not have known of the disparities. But! With the new 10 percent disclosure, Patient X now knows that for an MRI, his co-insurance will be 10 percent of the contracted rate. Multiply the co-insurance by 10, and you have the contracted rate. What does Medicare pay? This is in the New York area, so it’s between $497 and $516. This is important because the Medicare rate is the closest thing to a fixed or benchmark price in the marketplace — it’s set by the government under a fairly convoluted equation described in this blog post. This insurance company is undercutting Medicare at Provider A. Does this mean that Provider F gives an MRI that is 6 times better than the MRI at Provider A? Well, not necessarily. It probably means that Provider F has more power in the marketplace – perhaps a bigger reputation, more patients, “must-have” status or something else. (Here’s a blog post about a paper my friend Chapin White wrote recently about higher-paid providers: the actual paper is behind a paywall, but the gist is that higher-priced hospitals don’t have better outcomes). Does this mean that Provider A is getting taken to the cleaners? Well, maybe. Does this mean that if you – as an insured person on this plan from this company, choose a less expensive provider, your premiums are subsidizing higher-priced providers? Yes. But in our pricing survey of MRI providers in the New York City area, we learned that prices for cash or self-pay customers can range from $400 to $2,500. So why do Providers C, D, E and F get more money than a cash customer would pay? And in some cases a lot more? Interesting question. Note: We are not naming the insurer or the providers. Patient X gave us this information on the condition that we would not name the insurance company, and we agreed. If we named the providers, that would identify the insurance company. So we’re not naming them either. It should be noted here that we think transparency is good. All prices (or costs or charges) should be revealed, and all quality metrics too. There’s no compelling argument we’ve heard for keeping all this information secret. We are big supporters of complete transparency. Partial transparency? We’re less enthusiastic about that. By the way, Patient X told us, other procedures also vary: For one, judging from the 10 percent coinsurance, the total cost at Provider A is $120, and at Provider B it’s $370. For another procedure, the range is from $129 to $349. If you extrapolate this set of numbers to the entire marketplace, and to much more complicated procedures – appendectomies, knee replacements, cancer care? – you can start to see how explosive the release of a 10 percent coinsurance charge might be for a thinking person. Patient X is not exactly a cynic, but he’s pretty clear about pointing out that the insurance company is not directing him or anyone else toward lower-cost care. Provider A and B, we’d like to talk. Got something to share with us? E-mail: info (at) clearhealthcosts (dot) com, or phone 914-552-9876.